Want to export live photo from iPhone X/8/7/6s to Mac or PC computer but do not know how? 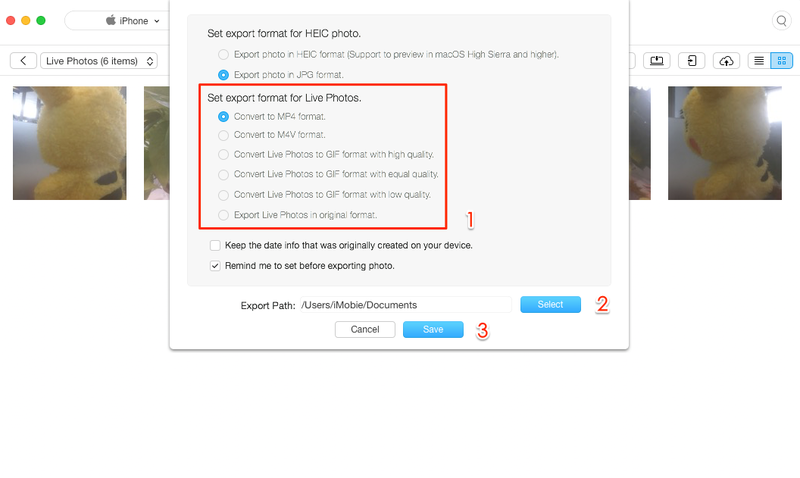 Read this guide to see how to export live photo as video/GIF easily. This easy-to-use tool can help you export live photo as MP4/M4V/GIF as per your needs. 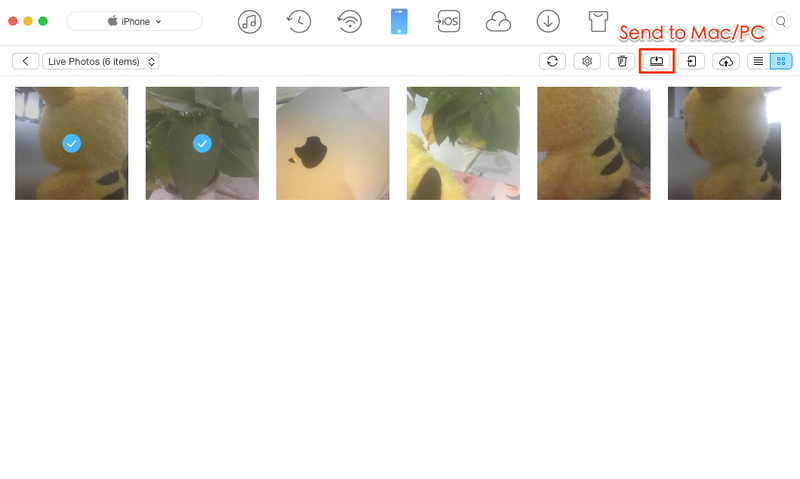 Get it now and follow this guide to export iPhone X/8/7/6s live photo to computer. With iPhone 6s/SE/7 or the new iPhone 8/X, you can take interesting live photos. It’s an awesome function, but if you try to export them to computer to share online or for further use, they will become still images. So is there any tool that can help you export live photo as video or GIF? The answer is yes. AnyTrans, an all-sided iOS data transfer tool can help you make it. 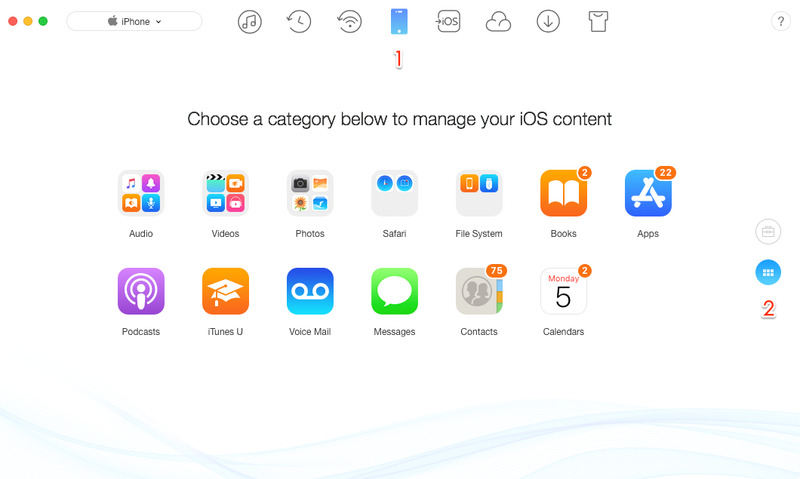 AnyTrans is one professional iOS data transfer tool that can help users transfer and manage iPhone data in an easy way. 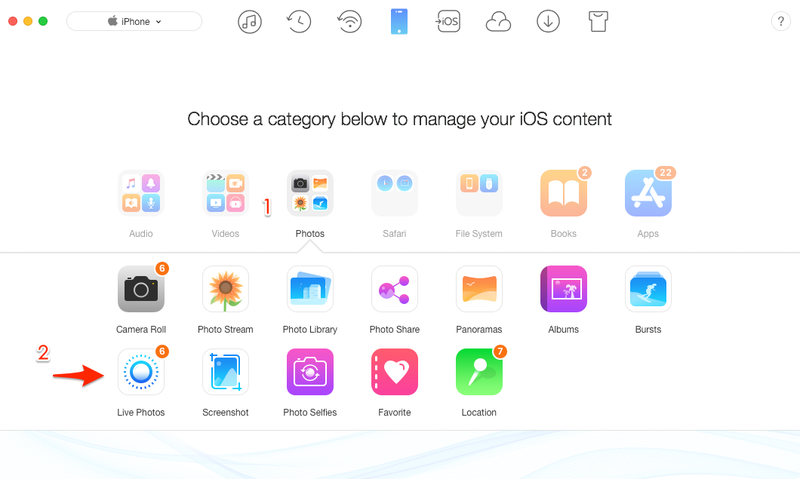 As for photo management, it lets you export live photo to Mac/PC computer in original format, or convert them to MP4, M4V, GIF. Now download AnyTrans and follow the steps below to export live photo from iPhone X/8/7/6s to computer. Step 1. Open AnyTrans > Connect your iPhone to computer via USB cable > Choose Device Manager > Click the button at right to enter category management window. Step 2. Click Photos > Choose Live Photos. Step 3. Click Settings button to set the export format: MP4, M4V, GIF, or original format > Click Select to choose the export path > Click Save to confirm. Here we choose Convert to MP4 format. Step 4. Select the live photos you want to export > Click Send to Mac/PC button to start. Step 5. After it is done, you can click view files to have a check. 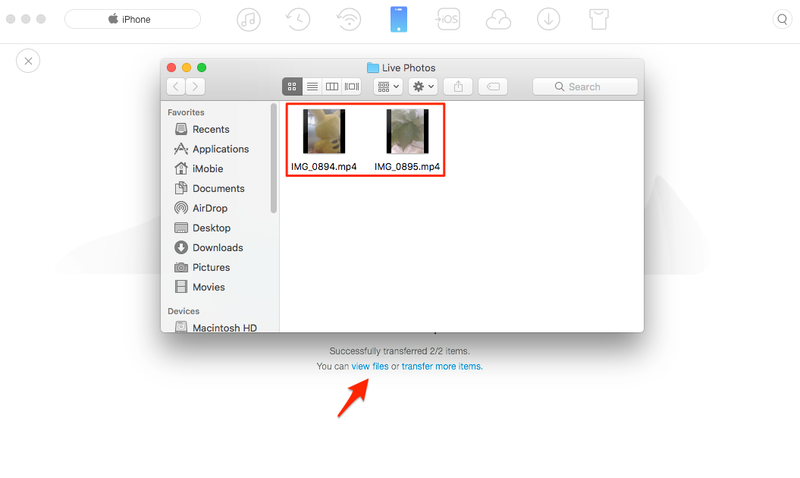 As you can see, with the help of AnyTrans, you can easily export live photo as video or GIF easily and quickly. Besides that, for iPhone 7 and later users, it also lets you convert HEIC to JPG.